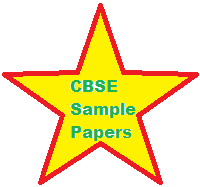 Ask-math provides CBSE sample papers. Central Board of Secondary Education is a Governmental Board of Education in India. CBSE headquarter is in Delhi. The regional offices are in Allahabad,Chennai,Ajmer,Guhahati,Panchkula and Bhubaneswar. In this section, ask-math provides sample papers not only for CBSE, state board, ICSE, international board but also for students who are studying in UK and US. . All these papers are chapterwise so that student gets enough practice and scores good marks in his/her final exam.